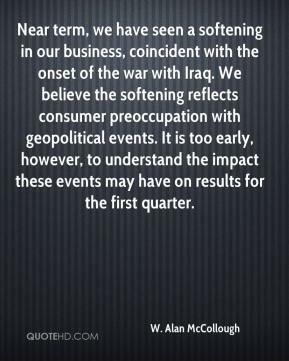 Near term, we have seen a softening in our business, coincident with the onset of the war with Iraq. We believe the softening reflects consumer preoccupation with geopolitical events. It is too early, however, to understand the impact these events may have on results for the first quarter. Our thoughts and prayers go out to the people who were affected by Hurricane Katrina. 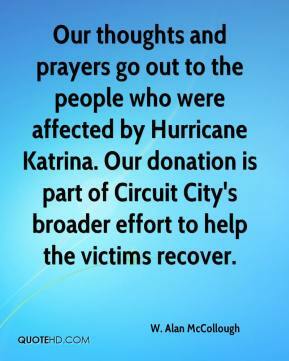 Our donation is part of Circuit City's broader effort to help the victims recover. 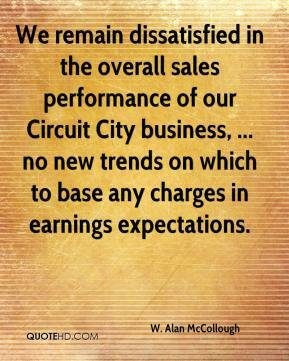 We remain dissatisfied in the overall sales performance of our Circuit City business, ... no new trends on which to base any charges in earnings expectations. 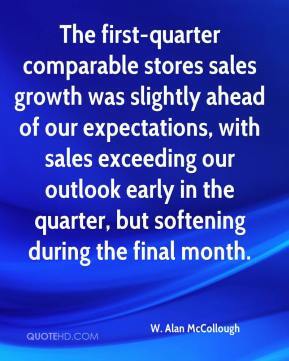 The first-quarter comparable stores sales growth was slightly ahead of our expectations, with sales exceeding our outlook early in the quarter, but softening during the final month. 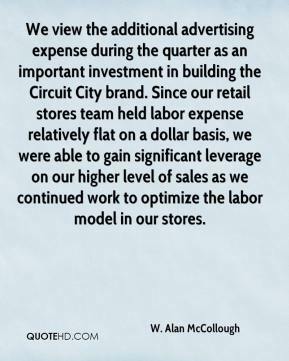 We view the additional advertising expense during the quarter as an important investment in building the Circuit City brand. Since our retail stores team held labor expense relatively flat on a dollar basis, we were able to gain significant leverage on our higher level of sales as we continued work to optimize the labor model in our stores. 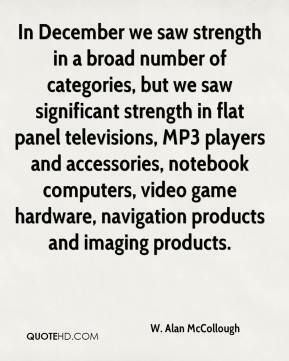 In December we saw strength in a broad number of categories, but we saw significant strength in flat panel televisions, MP3 players and accessories, notebook computers, video game hardware, navigation products and imaging products. 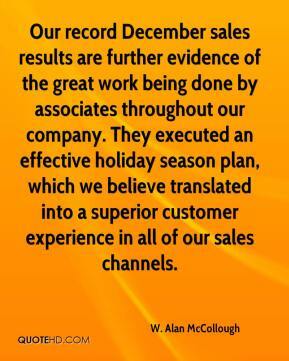 Our record December sales results are further evidence of the great work being done by associates throughout our company. They executed an effective holiday season plan, which we believe translated into a superior customer experience in all of our sales channels. 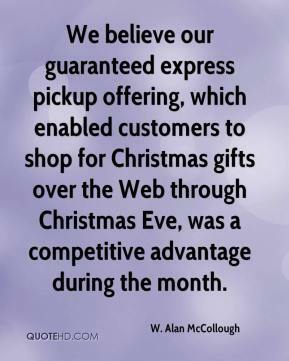 We believe our guaranteed express pickup offering, which enabled customers to shop for Christmas gifts over the Web through Christmas Eve, was a competitive advantage during the month. 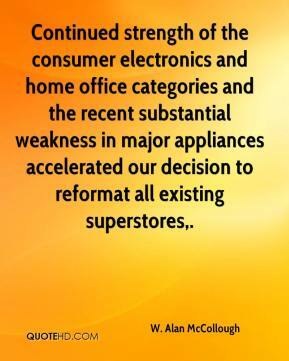 Continued strength of the consumer electronics and home office categories and the recent substantial weakness in major appliances accelerated our decision to reformat all existing superstores. 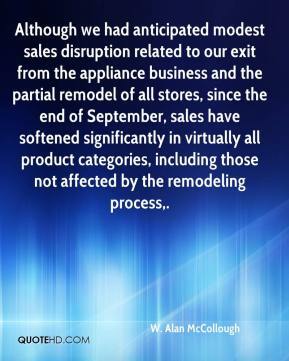 Although we had anticipated modest sales disruption related to our exit from the appliance business and the partial remodel of all stores, since the end of September, sales have softened significantly in virtually all product categories, including those not affected by the remodeling process. I believe we have made an exciting announcement for the future of our company. 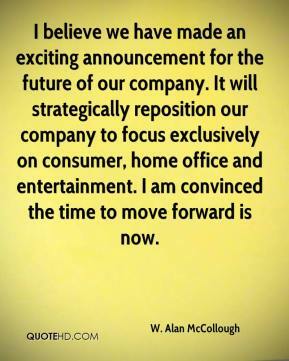 It will strategically reposition our company to focus exclusively on consumer, home office and entertainment. I am convinced the time to move forward is now. Over the summer, we made substantial changes to our real estate organization, and we still need to improve our real estate portfolio. 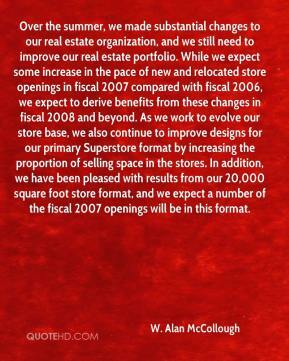 While we expect some increase in the pace of new and relocated store openings in fiscal 2007 compared with fiscal 2006, we expect to derive benefits from these changes in fiscal 2008 and beyond. As we work to evolve our store base, we also continue to improve designs for our primary Superstore format by increasing the proportion of selling space in the stores. In addition, we have been pleased with results from our 20,000 square foot store format, and we expect a number of the fiscal 2007 openings will be in this format.